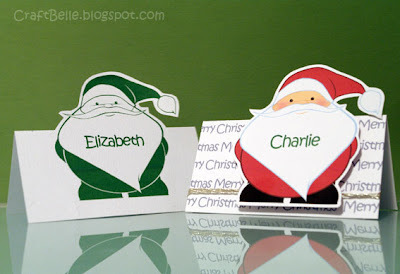 Here is a quick place/name card idea for a 'Santa Claus' set I designed. It's too little late for release but decided to show it anyway. And now you can grab the Santa clipart from 'my downloads' page for free (or see the side bar).